Summer is in full force and the temperatures are high! 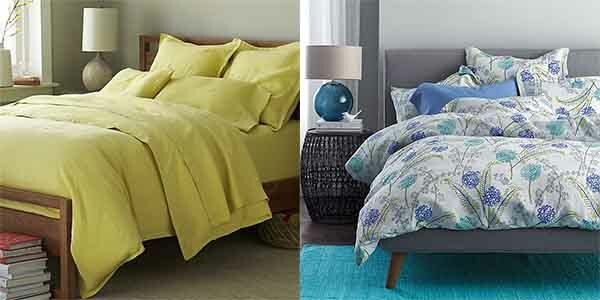 If you find yourself hot at night you may need to try out linen bedding. This was one of my 9 Ways to Update Your Bedroom for Summer that I mentioned last month. 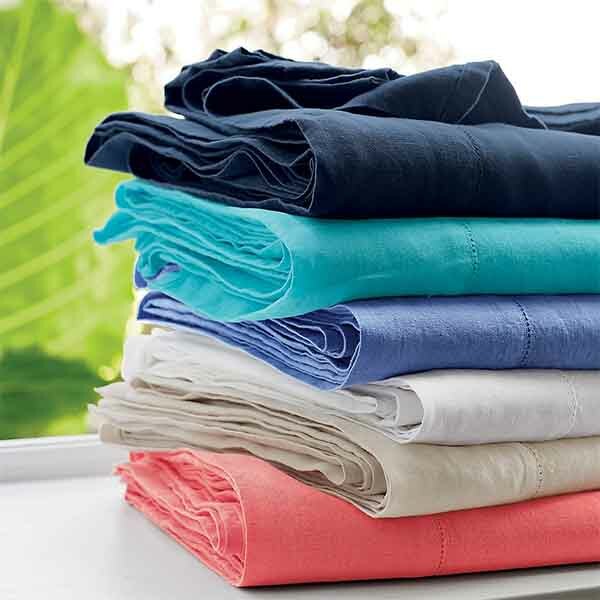 Linen breathes very well as a fabric and can actually be a great bedding material year round, especially in warmer climates. 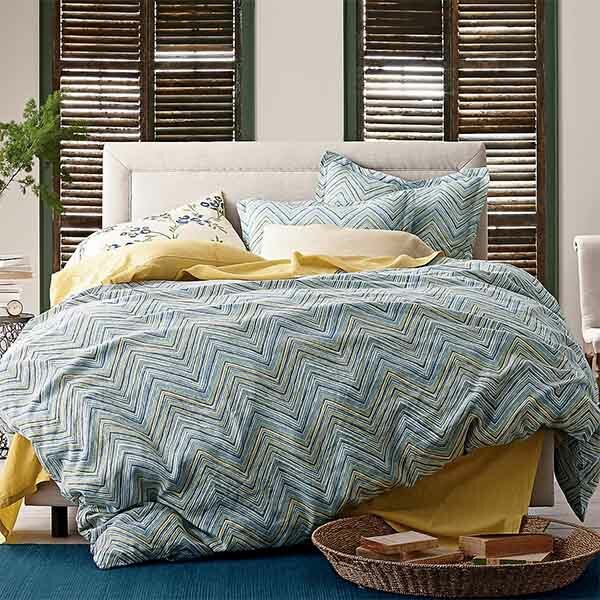 While I know how great linen bedding can be, I noticed that many retailers are only selling linen bedding in muted colors like white, beige and gray. I’ve searched the web and discovered there are definitely more colorful options out there. 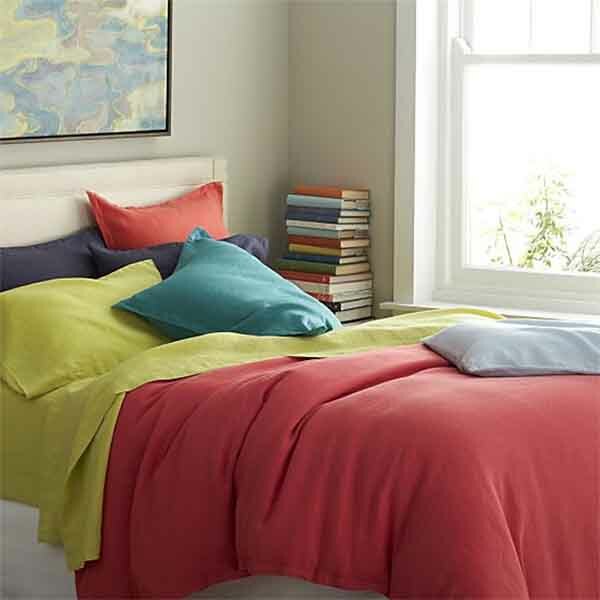 You don’t have to miss out on bright colors just because you want to give linen bedding a try! In other news, this is my 100th blog post on Interiors by Jacquin! Hooray! It really has flown by. Thank you for continuing to read and engage. It is always great to get comments from readers and I can’t wait to get to know more of you out there. Please do subscribe if you haven’t yet and continue to write in with your awesome comments. You can subscribe at the top, right corner of this webpage. Thanks for your amazing support!